...and the Blogger Behind It! Plus, some great keto resources for everyone. Welcome to the Pescatarian Keto Blog! Hi there! I’m Laura, and I started this blog to talk about following a pescatarian ketogenic diet. That means being meat-free yet eating fish and also restricting carbohydrates. 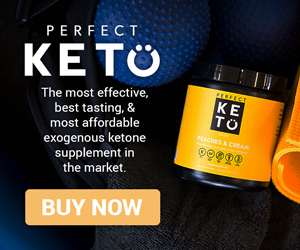 Here, you’ll find information about the keto diet and tasty pescatarian keto recipes as well as reviews of food, supplements, and other keto products. If you are early in your keto journey, still in the research phase, or otherwise curious, you may be interested in these resources. Some are related to vegetarianism and pescatarianism, but a lot are more general. All links open in a new tab. 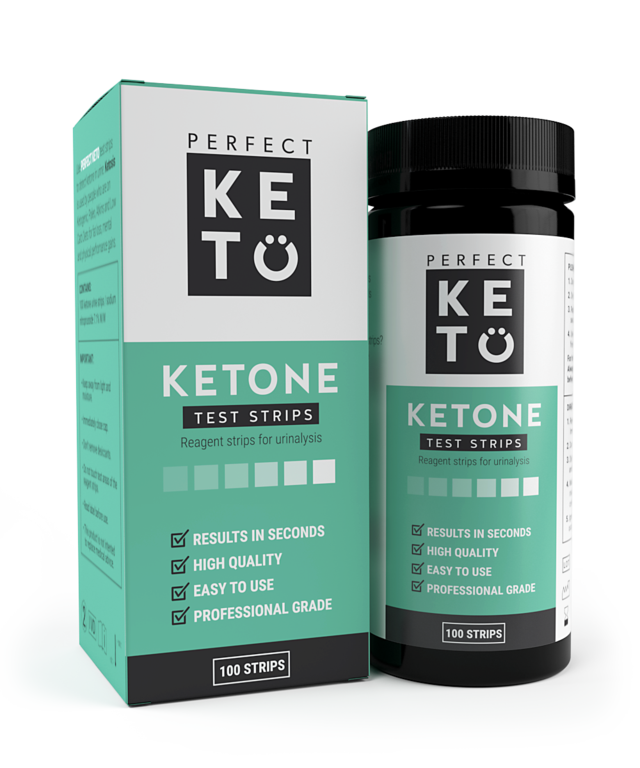 The Ultimate Keto FAQ and Answers: This is a comprehensive article for beginners published by Perfect Keto, a company whose products I frequently use and write about on this blog. How to Tell When You’re in Ketosis: This is my post discussing how long it takes to get into ketosis, methods of testing ketosis such as ketostix and blood ketone meters, and signs your body will show that may mean you’re in ketosis. 5 Reasons to Follow a Pescatarian Keto Diet: If you’re interested in avoiding meat but are open to eating fish and are considering keto, you may want to read my reasons for eating the way I do. The Pescatarian Keto Shopping List: This post contains a lot of the basic items I stock in my pantry and fresh items I pick up whenever I hit the supermarket. The Pescatarian Keto Pinterest: I have a variety of boards related to the keto diet, vegetarian keto food, pescatarian keto food, and more. Meat Free Keto: This is a vegan keto recipe blog, and I am clearly not a vegan, and surely, vegan keto dieters are rare. However, many basic keto recipes such as fat bombs and hemp seed porridge are actually vegan, and you’re sure to get some great ideas from this blog. Plus, if you’re considering keto as a vegetarian or pescatarian but are worried it will be too restrictive, you may find it helpful to look at so many vegan keto recipes and then remember you can eat so much more! Dr. Rhonda Patrick (FoundMyFitness): Dr. Rhonda Patrick is a scientist and podcaster whose diet is more paleo than keto, but she has a lot of keto guests on her show. She also talks a lot about health topics that interest the keto community such as intermittent fasting and supplements. Rhonda was formative in convincing me to transform my life through diet, exercise, and supplementation rather than continuing to search for pharmaceutical solutions, and in that way, she led me to keto. The Joe Rogan Experience: I learned about Rhonda Patrick from the Joe Rogan Experience. He has had many other guests that have inspired me in my health journey, and it was his show that introduced me to the keto diet. Guests on JRE that inspired me to try keto include Dom D’Agostino, Mark Sisson, Peter Attia, and Chris Kresser. The Magic Pill: This Netflix documentary on keto is a great starting point if you haven’t already been converted. I like that it shows real life examples of people who improved their health through the ketogenic diet, and it really breaks down how the rise of agriculture has damaged us and our planet. Is This Blog Only for Low Carb Pescatarians? Many of the recipes and food products I write about are fish-free and therefore vegetarian-friendly, and if you’re on the traditional ketogenic diet, you can probably eat pretty much everything I post. 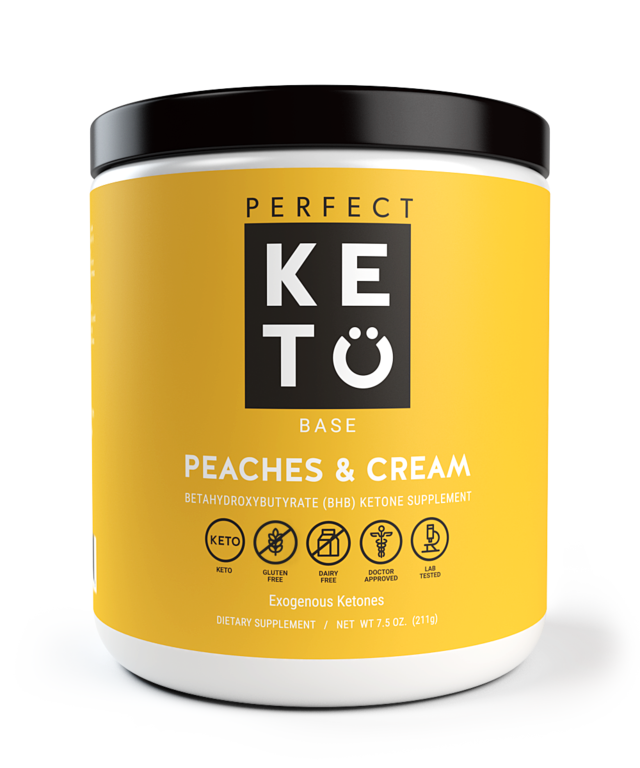 I also review products that are beneficial to everyone on the keto diet (or any diet!) such as supplements and exogenous ketones. If you’re not keto but otherwise low carb, you’ll probably find some good stuff here too. Wondering what type of person would be behind such a blog? Well, I’m a 27-year-old who became a strict vegetarian at age 13 for ethical reasons and added fish to my diet at 21. Not eating meat always felt natural and right to me. Eating a more species-appropriate diet than pizza and pasta felt even better once I discovered keto. For most of my life, I was never truly serious about my health. Anyone who thought I was healthy because I was a vegetarian was mistaken. I was mostly sedentary despite lots of pacing and the occasional late night runs fueled by anxiety-induced energy. I went through phases of making green smoothies and had an interest in “health food,” but I indulged in sugar freely. Because I maintained a healthy weight, I was not that concerned about my diet. I also didn’t think taking vitamins or supplements was important because I had been convinced by articles stating that they were ineffective, which Dr. Rhonda Patrick would later debunk for me. I had no physical health problems, only issues like depression and ADHD, and I’d been fed the lie that the most effective way to address those conditions was pharmaceutical drugs. I hoped that one day, I’d find the right combination of drugs to fix my brain. My physical health was a separate matter that didn’t concern me because my body seemed fine. In late 2017, something clicked for me. I was fed up with depression, inattention, brain fog, and insomnia, and I started to accept that pharmaceutical drugs weren’t going to be the answer. It was time to give up on that lost cause. I learned about the mind-body connection (more specifically, the gut-brain connection) and the inflammation theory of depression and other disorders. 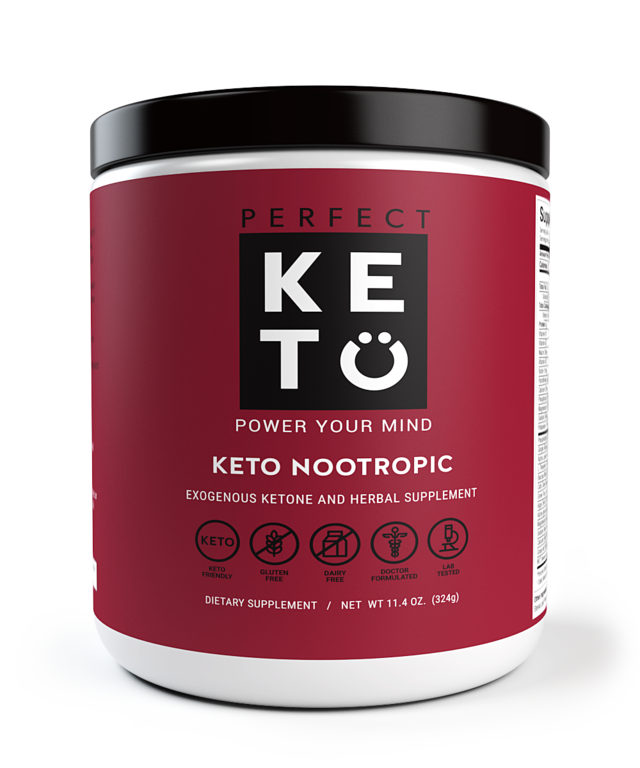 I learned about the increased energy and mental focus and other positive brain effects that can be attained through the ketogenic diet. Both the anecdotal and scientific evidence continued piling up until I could no longer deny that this was something I needed to try. I love to learn and have new ideas for projects constantly, so I longed for mental stamina and clarity. I was ready to shed the previous version of myself that was plagued with brain fog. If I wanted to feel different, I needed to make radical changes to my diet and lifestyle. I read about people who followed vegetarian keto diets, and I discovered that following a pescatarian keto diet was less restrictive than I expected. I also discovered that I wanted to eat a very low carb diet for life. My focus has improved dramatically, my depression is more manageable, and I’m reading more and doing more than ever. I believe strongly that living a species-appropriate lifestyle can transform lives! Nutrition and exercise are critical factors that should not be ignored. If you ever want to talk about keto, you can find me on Twitter as @PescatarianKeto. I’m an ordinary person who follows a ketogenic diet, not a doctor or nutritionist. This is my personal blog about my own experiences and should not be confused with professional advice. That said, I hate the thought of spreading misinformation, so if I get something wrong, don’t hesitate to call me out in the comments! I’m also happy to accept guest posts from doctors, nutritionists, food scientists, and anyone else who knows more about this stuff than I do. Just contact me! I’m a participant in a few affiliate programs, meaning that if you click on a product link and buy the product, I may get a commission from Amazon or a specific brand. I join affiliate programs of brands whose products I like to use. However, everything I write on this blog is totally honest. If I recommend a product, it’s because I’ve used it myself. If a company sends me a product specifically for the purpose of a review, I will note that on the post, and again, you can still trust that I’ll be honest in my review. 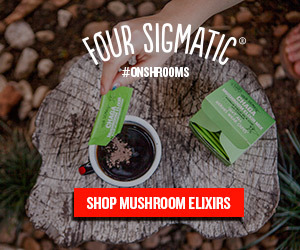 All the companies advertised in my sidebar make products I use myself and love! Feel free to ask me for more detail about any of them, whether via a comment on one of my posts, a tweet or DM on Twitter, or a contact form submission. This website uses a custom WordPress theme I built myself using underscores.me, and I am the webmaster, so let me know if something is broken! All content is also written by me, but I am open to guest posts. If you encounter an issue or the site, have an idea for a guest blogging opportunity (on my site or yours), or have a product you’d like me to check out and review, just contact me.